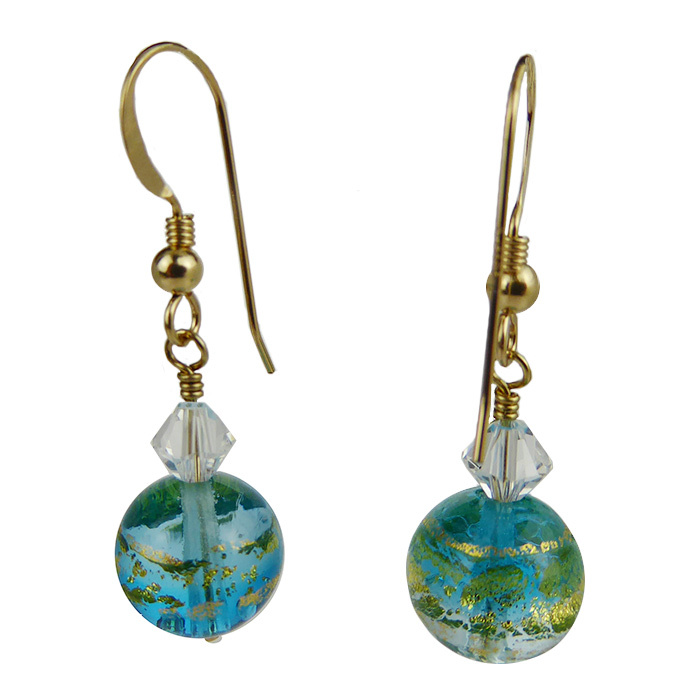 These cheerful Murano Glass Earrings will be at home in the office or with jeans. The size is approximately 1 1/4 Inches with Sterling Silver Ear Wires. 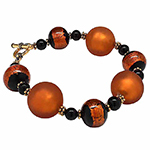 The beads are handmade made in Murano Italy and the earrings assembled here in our laboratory. The colors are Aqua with Gold Foil and Swarovski Crystals.